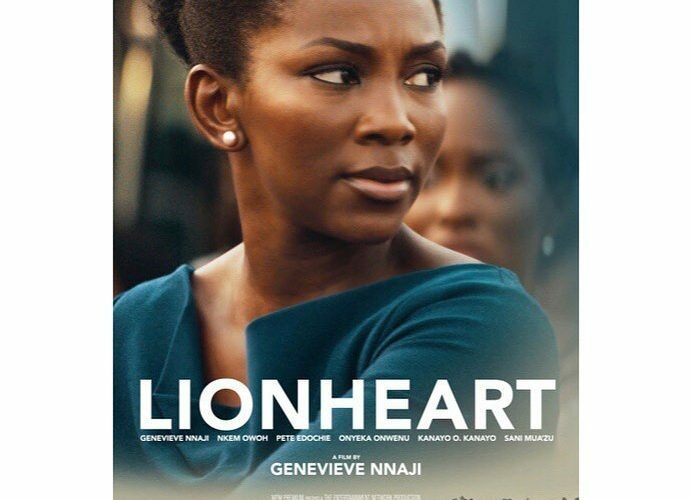 Nollywood meets Netflix with its first Nigerian movie, Lionheart. Starring and directed by the astonishing Genevieve Nnaji, this heartfelt movie conveys the true essence of the values of Nigeria as depicted on our flag, faith, peace, and unity. The film is about Adaeze (Genevieve Nnaji) a young woman who must step up to the plate and save her father’s transportation business when he falls ill. Her father, Chief Ernest Obiagu (Pete Edochie), suffers a heart attack while in the process of clearing a large debt of 950 million Naira – roughly $337,250. With the help, satire, and wisdom of her uncle Godswill (Nkem Owoh), Adaeze takes on the task of clearing the company’s debt in 30 days or risk losing her father’s legacy and business to their competitor, Igwe Pascal played by Kanayo O. Kanayo. 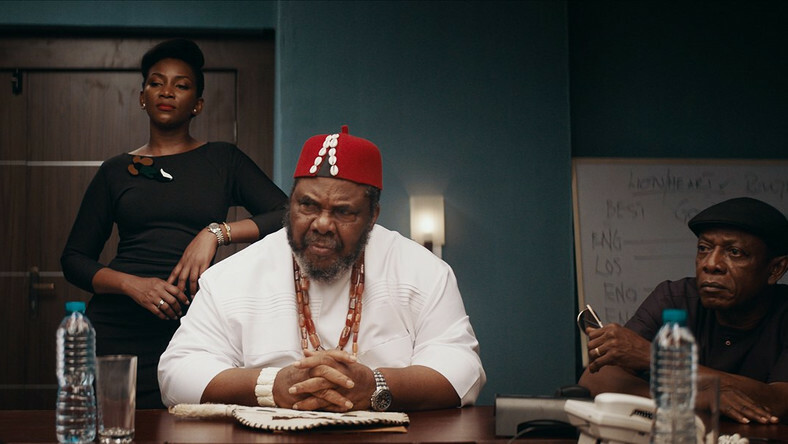 Adaeze not only faces the stress of sustaining her father’s legacy, but she must also deal with the pressures of being a woman in a male-dominated boardroom. She receives the cold shoulder from men around her in the business world like the character played by Kalu Ikeagwu who will do anything to see her down. Women are meant to be nurses while men are to be doctors or the highest ranking of anything, but Adaeze takes on the challenge while her brother has no interest in the business world. Adaeze is a businesswoman and wants to be chair of her father’s company, while her brother, driven by creativity, is a rapper. In Nigerian households the only career choices are medicine, law, or engineering, therefore, his father does not take him seriously because of his unusual career choice. It’s such details that stand out and should not be overlooked, in this film. There is power in women, a Nigerian woman at that. 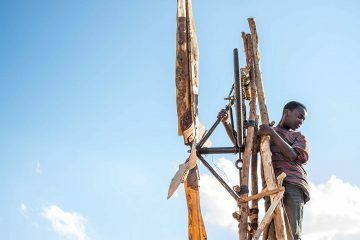 Nnaji brings our flag to life. Green – white – green standing for Faith, peace, and unity, all aspects that Nnaji embodies every step of her character’s journey. Every value of Nigeria fit in this movie like a puzzle. From the patriarchal ideas people hold to the strength that Nigerians draw from their spirituality, this movie shows what is possible even when the odds are against you. As human beings, when we’re given a time constraint it often creates pressure that can lead to doubt and lack of confidence. It can feel like you are in a track race trying to make it to the finish line before anyone else in order to be number one, but you’re running with weights on your legs and taking a breather is not an option. We see this happen to Adaeze towards the end of the movie when she begins to have doubts but regains her faith during the last few days before the deadline, following a talk with her mother (Onyeka Onwenu). The scene was poignant as it showed the impact of religion and the relationship most Nigerians have with God. That’s what kept her going, knowing that God had given her this battle because she was going to persevere. Adaeze did not make any enemies along the journey or fight with anyone, she kept the peace and her faith. Most importantly, though the people who supported and believed in her were part of a small circle, the movie always reminded us that this was always about family. It is the fact that no matter what you go through in life, your family will always be there with you on your journey. Even when we want to struggle and make it on our own, they are beside us because no one can truly do anything alone. Lionheart also teaches that we must cherish our elderly family members. Sometimes they have the answers we fail to see but it is always in our hearts to come back to them.